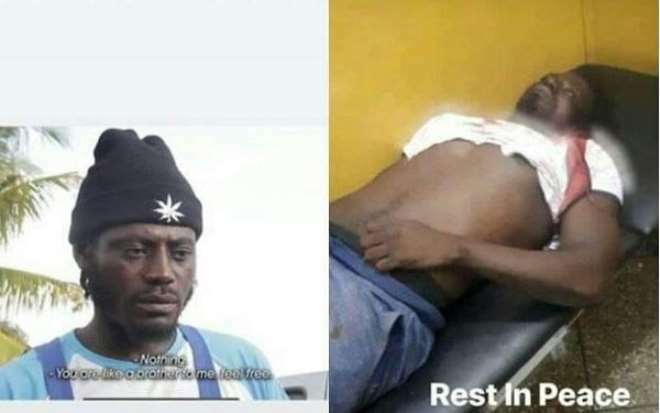 Ghanaian popular Kumawood actor, Nurudeen Abass popularly known among his colleagues as Blinkz has been stabbed to death. The actor was stabbed to death around 10:30am on Wednesday November 7, 2018 at Akurem, a surburb in Kumasi. Blinkz, who worked with the Acheamfour Terminal for a transport company met his death when he visited his master’s house. The body has since been deposited at the Komfo Anokye Teaching Hospital for preservation and autopsy. Narrating the unfortunate incidence to the press, Manhyia Divisional Commander, ACP Kwaku Buah explained saying; “This morning around 10:30am, a young man who is popularly known and called in Kumasi by the name Blinkz, an actor with Kumawood and a worker at Acheamfour Terminal visited his master’s house at Akurem where he met the master’s wife and brother exchange words. He found it worrying and tried to intervene however, the brother to his master’s wife took offence with his intervention which eventually turned into a fight.